Are you considering homeschooling your child? You can do it! As you get started, it’s important to make sure you comply with the education laws where you live. This page helps you understand how to homeschool legally in Alabama—step by step. Alabama law requires children “between the ages of six and 17” to attend school. The parent of a child who is 6 may opt out of enrolling the child in school by written notification to the local school board that the child will not be enrolling until age 7. Children attending a church school may withdraw from school as early as age 16. HSLDA believes that a parent-issued diploma and transcript should be sufficient to demonstrate that a child has completed a secondary education. However, even if your child is beyond compulsory school attendance age, there may be situations where you would want to continue to follow the requirements of a home education option recognized under Alabama law until your child graduates from high school (filing a home education notice, keeping attendance and other records, etc.). These records may be requested in some situations, such as obtaining a driver's license if your child is a minor, enlisting in the military, applying to colleges, or demonstrating eligibility for Social Security benefits. If you are a member of HSLDA and would like additional details, please contact us. We invite you to become a member of HSLDA to receive specific advice about withdrawing your child from school and starting to homeschool. Local schools may have specific forms or withdrawal procedures. HSLDA members are eligible to receive individualized advice about whether complying with those procedures is advisable or required. HSLDA members can also use the sample letter of withdrawal for Alabama available in Member Resources to correspond with school officials. In Alabama, there are three options under which you can legally homeschool. Note that church schools and private schools can establish their own policies for teacher qualification, days of instruction, and required school subjects. 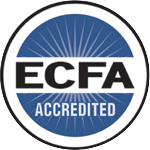 A church school offers instruction in grades K–12 or any combination thereof, including preschool, through onsite or home programs, and is operated as a ministry of a local church, group of churches, denomination, and/or association of churches that does not receive any state or federal funding. A home may be the location where a child receives instruction as a student attending a church school. A parent may establish a church school in the home, or the home may be an extension of an existing church school. 1. Enroll your child in a church school. The Christian Home Education Fellowship (CHEF) of Alabama has compiled a list of church schools that enroll homeschool students. That list is available on CHEF’s website here. Before your enroll your child in a church school, call the school office or browse their website to become familiar with their homeschool policy and to get answers to any questions you may have about fees, enrollment deadlines, etc. 2. File a church school enrollment certificate. When your child is first enrolled in a church school, you must notify the superintendent of your local public school by filing a church school enrollment form. The church school administrator may assist you in obtaining this form. This form must be signed by a parent or legal guardian and by the church school administrator. There is no requirement to file annually. 3. Keep an attendance register. The principal teacher of the church school must keep an attendance register for every school day of the year. 4. Comply with any policies established by the church school. Some church schools have policies regarding teacher qualification, number of days of instruction, and required subjects. If so, you are responsible to comply with them. A private school is established, conducted, and supported by a nongovernmental entity or agency offering educational instruction in grades K–12 or any combination thereof, including preschool, through onsite or home programs. A home may be the location where a child receives instruction as a student attending a private school. A parent may establish a private school in the home, or the home may be an extension of an existing private school. 1. Notify your local superintendent. Five days after the start of public school, your private school must report to the county or city superintendent the names and addresses of all school-age children enrolled in the school. Thereafter, on a weekly basis, your private school must report the names and addresses of all school-age children (1) who enroll in the school, or (2) who are absent without a lawful excuse. Private schools must furnish any other reports required by the state superintendent of education or reports required by the county or city superintendent relating to the school attendance laws. Private school enrollment and absence reporting forms for HSLDA members are available here. 2. Keep an attendance register. The principal teacher of a private school must keep an attendance register for every school day of the year. 3. Obtain proof of immunization. Private schools must require their students to show proof of immunization, or medical or religious exemptions from immunization. Carry out a program of physical education similar to what is taught in public schools. 5. Comply with any policies established by the private school. Some private schools have policies regarding teacher qualification, number of days of instruction, and required subjects. If so, you are responsible to comply with them. However, such a requirement is not mandated by law. 1. Select a private tutor with the required qualifications. Private tutors must be Alabama-certified teachers. 2. Ensure that your child is instructed in the required subjects and for the required number of days. A private tutor’s instruction must be in English and must include the same branches of study that are required to be taught in the public schools. The tutor must teach for at least three hours a day, for 140 days each calendar year, between the hours of 8:00 a.m. and 4:00 p.m.
3. The private tutor must comply with reporting and recordkeeping requirements. The private tutor must submit a statement to the county or city superintendent, listing the tutor’s students, the subjects taught, and the proposed tutoring schedule. The tutor must also keep a register of work, showing daily the hours of instruction, and of attendance (including absences). The tutor must also make such reports as the State Board of Education may require. You can find Alabama’s specific recordkeeping requirements, if any, above. Regardless of what state you live in, HSLDA recommends that you keep detailed records of your homeschool program. These records may be helpful if you face an investigation regarding your homeschooling or your student needs to furnish proof of education.